I’m sticking with my recent focus on the NBA and in particular Stephen Curry and the Golden State Warriors. 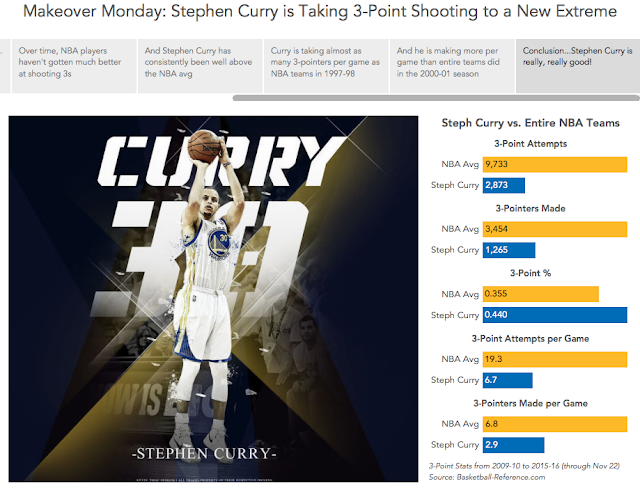 This week, I walk you through a makeover of a chart produced by Sports Insider. In this makeover, I point out what’s wrong with the chart and show the makeover in terms of a story rather than one static chart.